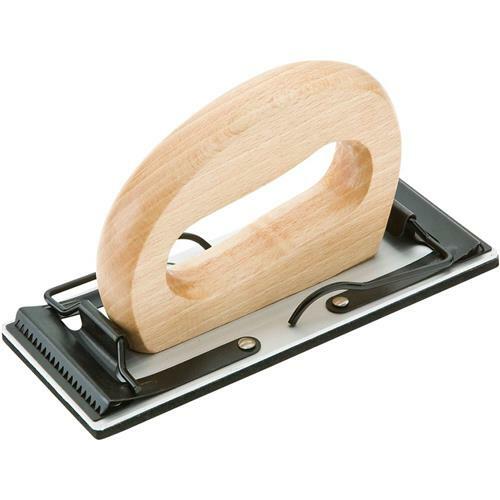 This sanding board features a hardwood D-handle grip, closed cell rubber pad, and lever action cam clamping system. 2-3/4" wide, accepts most paper and cloth-backed sandpaper. 6-1/2" long.